37 CFR 1.33 Correspondence respecting patent applications, reexamination proceedings, and other proceedings. (c) All notices, official letters, and other communications for the patent owner or owners in a reexamination or supplemental examination proceeding will be directed to the correspondence address in the patent file. Amendments filed in a reexamination proceeding, and other papers filed in a reexamination or supplemental examination proceeding, on behalf of the patent owner must be signed by the patent owner, or if there is more than one owner by all the owners, or by an attorney or agent of record in the patent file, or by a registered attorney or agent not of record who acts in a representative capacity under the provisions of § 1.34. Double correspondence with the patent owner or owners and the patent owner’s attorney or agent, or with more than one attorney or agent, will not be undertaken. Address of Patent Owner: The correspondence address for the patent to be reexamined, or being reexamined is the correct address for all notices, official letters, and other communications for patent owners in reexamination proceedings. 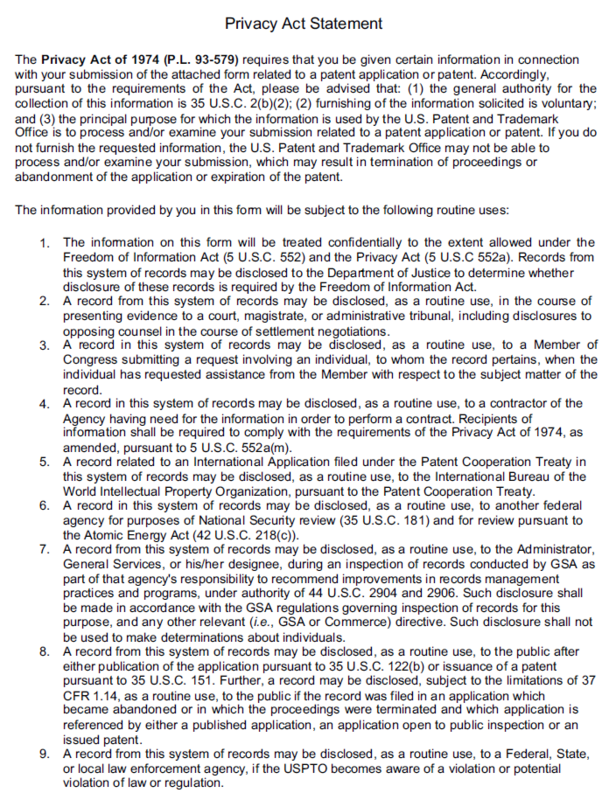 See 37 CFR 1.33(c). Representative of Patent Owner: As a general rule, the attorney-client relationship terminates when the purpose for which the attorney was employed is accomplished; e.g., the issuance of a patent to the client. 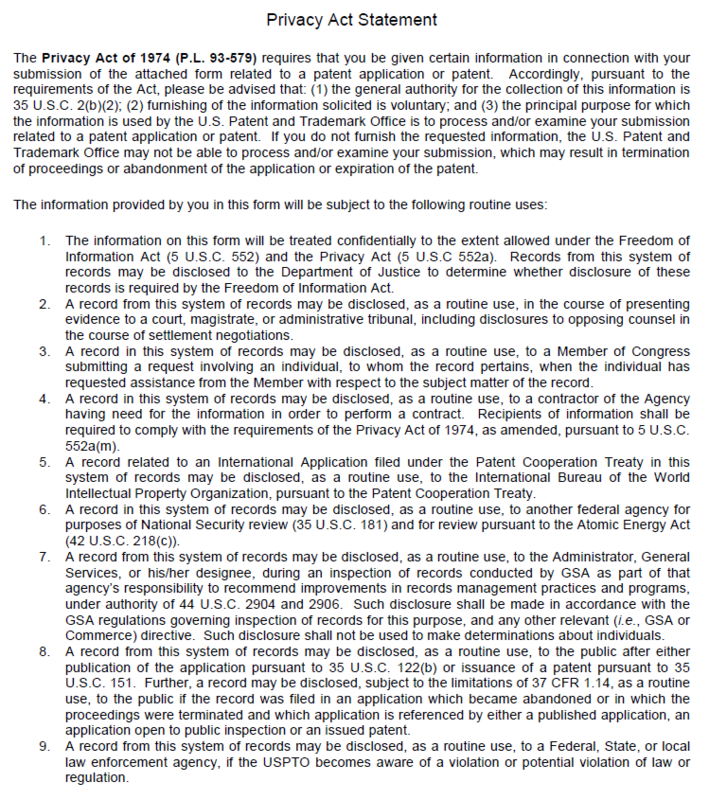 However, under 37 CFR 11.104, as under former 37 CFR 10.23(c)(8), a practitioner should not fail to timely and adequately inform a client or former client of correspondence received from the Office when the correspondence: (i) could have a significant effect on a matter pending before the Office, (ii) is received by the practitioner on behalf of a client or former client, and (iii) is correspondence of which a reasonable practitioner would believe under the circumstances the client or former client should be notified.” (Emphasis added.) This responsibility of a practitioner to a former client is not eliminated by withdrawing as an attorney or agent of record. See also 37 CFR 1.116(d). 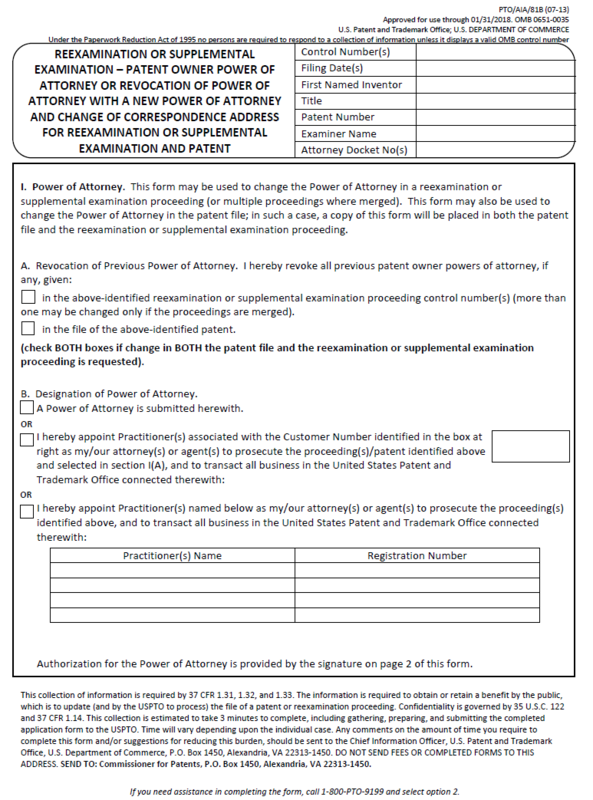 The practitioner if he/she so desires, can minimize the need for forwarding correspondence concerning issued patents by having the correspondence address changed after the patent issues if the correspondence address is the practitioner’s address, which frequently is the case where the practitioner is the attorney or agent of record. If the patent owner desires that a different attorney or agent receive correspondence, then a new power of attorney must be filed. 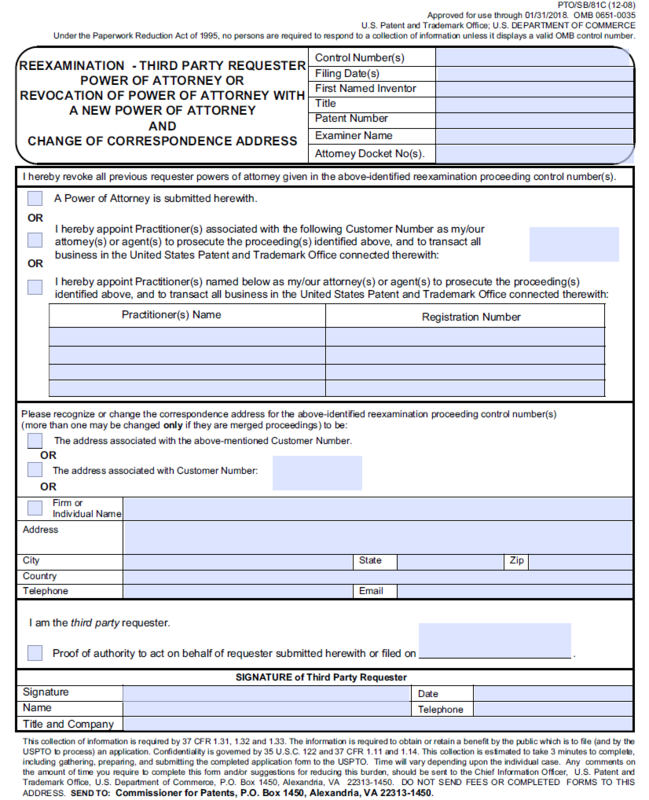 See MPEP § 324 for establishing an assignee’s right to take action when submitting a power of attorney. It is strongly recommended that the Mail Stop information be placed in a prominent position on the first page of each paper being filed utilizing a sufficiently large font size that will direct attention to it. 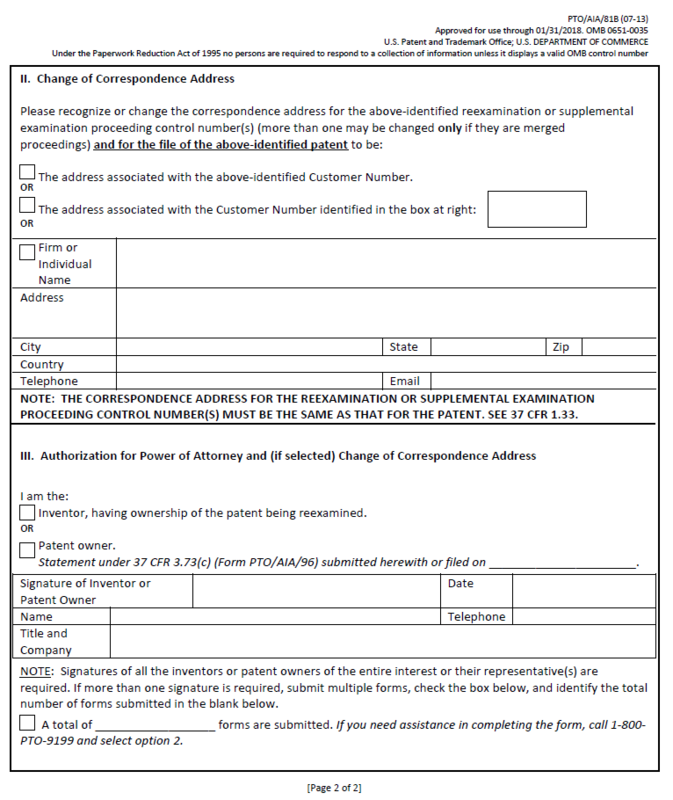 Sample forms for changing the correspondence address or power of attorney for the patent owner and for the third party requester are set forth below.